collective of musicians whose roots delve into folk, classical, jazz, and rock, and it blooms with a style quite unique from the garden variety Celtic ensemble. The band is known to take on traditional tunes and flirt with dimension. 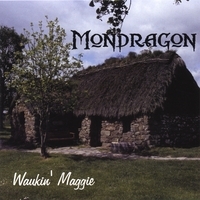 Mondragon is a collective of musicians whose roots delve into folk, classical, jazz, and rock, and it blooms with a style quite unique from the garden variety Celtic ensemble. The band is known to take on traditional tunes and flirt with dimension. Whether it be through a harmony or an unexpected turn, the result is delightful and often mesmerizing. Mondragon possesses a deep love for both historical tradition and contemporary style. The band is comfortable and affable in all venues, and its energy is downright contagious. ......grab your Ale and get ready to clap your hands or dance!! What an outstanding CD. It feels just as though I'm sittin' in a pub swearing that I must be in some Celtic land somewhere with a flagon of Ale and a blazing fire to warm the cold night. The sound of the instruments is a blessing to the ear. Every song is alive and breathing. Yahoo! !